When it comes to men's clothing, I really don't think I know all that much. My husband has always been very picky and like me his style probably hasn't changed since at least high school (we are kind of lame in that way together). I don't know what it is about most men or maybe just the ones i am around but since the day I met Kevin he has never been big on getting into the pool during the summer, unless its to play with the kids. My Dad has also been the same way since we were children. It wasn't until our honeymoon that I realized Kevin would cut the nets out of his swimsuits because of how much they irritated him. He would then wear a pair of underwear underneath to swim. At first I really thought this was very ahem - weird! But then (seven years later) I hear about a company called NoNetz. This is a company which has created a swimsuit for this exact purpose - comfort! 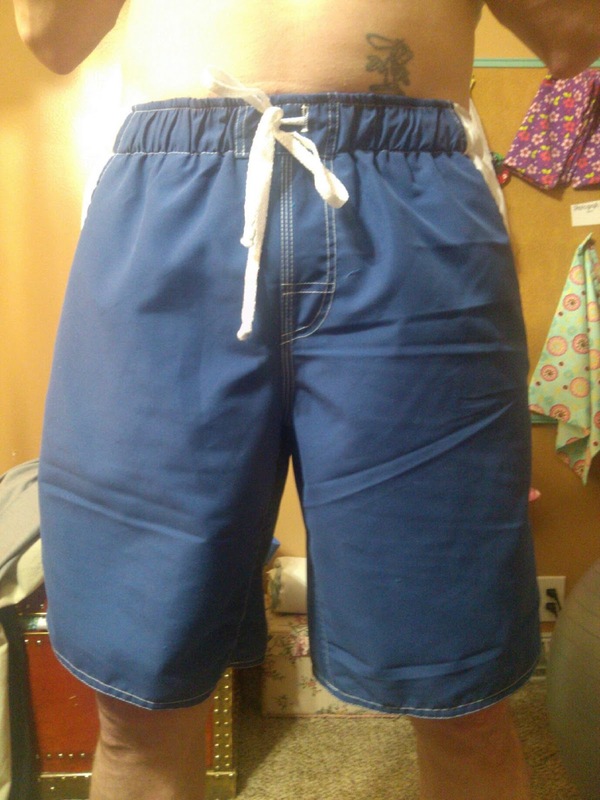 NoNetz swimsuits "are hand cut and sewn in our Brooklyn factory", made from soft microfiber materials in the US. There are no tags in the back and these suits "actively sheds water so it dries super fast! There is also an anti-bacterial coating on the liner fabric which is an ecological liquid solution containing no solvents. That means there are no toxic chemical remains on the finished anti-bacterial product." I personally was extremely impressed with the quality of this bathing suit when it arrived. Right away it had an overall soft feel and I really couldn't find a fault throughout it that would possibly annoy a male while wearing. I don't think I have ever seen Kevin so excited about a review product as he is for these. I am hoping that this summer he will spend a lot more time in the pool with the rest of us using his new trunks! Recommendation: I don't know about spending $55 on a pair of men's unless they are as comfortable as promised and will last forever! 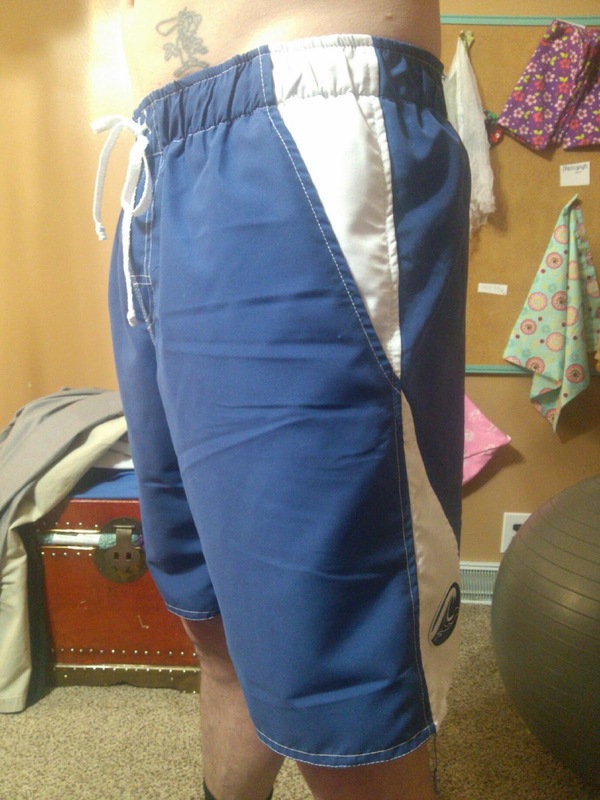 These were great quality and very comfortable and exactly what he's been looking for. Giveaway: NoNetz Suits is going to give one of A Lucky Ladybug's lucky readers a Men's Bathing Suit of their own! Look for this to begin on 5/22/13 as part of the "Decked Out Dad's Day" Giveaway Event! Looking for a pair for my son....these would be great!